Varicose Veins in the lower limbs is estimated to affect at least a third of the UK population. Some people do not experience any symptoms from the condition. However, others experience itchiness, heaviness, pain and aching among other symptoms. About a tenth of the patients will also develop skin problems as a result of the condition. This may include eczema or pigmentation. A third will also develop venous ulcers. No definitive system is used to identify people that will benefit from the interventional treatment within the NHS. Given the wide variation of the symptoms of varicose vein, the National Institute for Health and Care Excellence (NICE) came up with a set of guidelines and recommendations for dealing with the condition. Here is a summary of the recommendations and guidelines. The guidelines cover both the diagnosing and management of varicose veins. 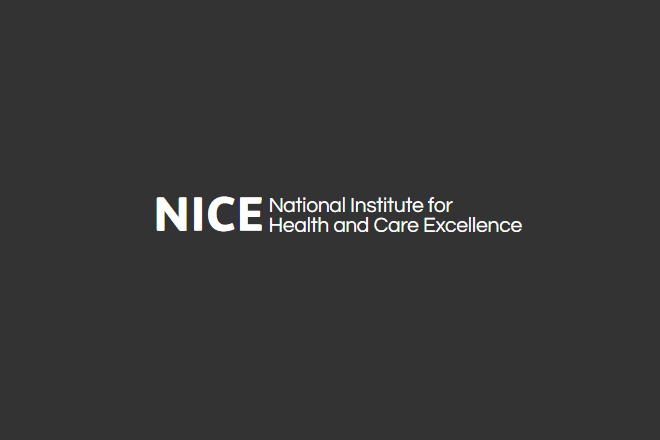 NICE aims at ensuring that the health professionals have the knowledge on the available options for treatment and know when to refer the patient to a specialist for further assessment and treatment. All Varicose patients and health professional alike have rights and responsibilities as contained in the NHS constitution of England. Therefore all treatment and care should take a keen look at the individual needs and preference. Every patient should be given an opportunity to make an informed decision about his or her treatment and care with the help of the health professionals. The code of practice on deprivation of liberty safeguards, Department of Health advice on consent as well as the code of practice that accompanies the Mental Capacity Act gives guidelines on ways to deal with patients who are not able to make informed decisions about their treatment because of being incapacitated. Any patient that visits a healthcare centre with symptoms of varicose veins should be given the following information. An explanation that details what varicose veins are. A brief explanation of various causes of varicose veins. The likelihood of the condition progressing and possible complications that may come about with the condition. These include skin changes, deep vein thrombosis, bleeding, leg ulcers and thrombophlebitis among other conditions. The healthcare professional should address any fears and misconceptions that the patient may have regarding the complications or the risk of developing them. The available treatment options that include relief from symptoms, the role of compression and an overview of interventional treatments. In addition to the above, the patient should get advice in the following areas. Importance of weight management and weight loss for the patients that may be obese. Factors that may make the condition worse and how to avoid them. Where and when to seek specialist medical attention. The number of treatment options available for their condition. The risk and benefits that each of the treatment options. There is a possibility that varicose veins may develop after treatment. The full treatment will take more than a single session. The chance that recurrent veins will recur after treatment is higher than that of the primary varicose veins. Any patient that comes with bleeding varicose veins should be referred to a vascular service immediately. The health professional should also refer patients with the following conditions to a vascular service. Patients that show symptomatic primary or recurrent varicose veins. A symptomatic condition is defined as a condition where veins are found to be associated with troublesome conditions on the lower limb. These conditions include discomfort, aching, pain, swelling, and itching. Patients are suffering from lower-limb skin changes. These changes include eczema or pigmentation if the health professional thinks that chronic venous insufficiency causes the condition. Patients with superficial vein thrombosis. Superficial vein thrombosis is characterised by the presence of hard veins which are also very painful. Any patient that also has a suspected venous incompetence should also be referred for specialised care. Presence of a healed venous leg ulcer. A venous leg ulcer that has broken below the knee and has not healed with two weeks after its appearance. At the vascular service, the health professionals should use a duplex ultrasound as a confirmatory procedure for the diagnosis of varicose veins. The procedure also shows the extent of truncal reflux. The results of the diagnosis should then be used to plan the treatment of people who are suspected to have either primary or recurrent varicose veins. Truncal reflux is a backflow of blood through one of the main superficial veins due to malfunction of the valve. An intervention treatment is required for people who have been confirmed to have varicose veins and truncal reflux. Here are some recommended treatments. Endothermal ablation of the varicose veins involves heating of the vein walls by the use of a bipolar generator or a catheter with sheathable electrodes. NICE recommends that the saphenous vein is accessed above or below the knee with a venepuncture sheath percutaneously or through a small incision at its location. The catheter should be withdrawn manually at a speed of 2.5cm to about 3cm a minute while the vein wall temperature is maintained at 85 degrees Celsius. While a patient is put under local anaesthesia, the doctor places a catheter into the long saphenous vein. Then a laser fibre is passed through it and positioned just below the saphenofemoral junction. An anaesthetic is then injected before withdrawing the fibre slowly. This is done while applying energy from a diode laser in short pulses. The energy is usually at a wavelength of either 810 or 940nm. The doctor will repeat the procedure on the entire length of the vein until the vein is closed from the point of access to the saphenofemoral junction. The endovenous laser treatment is minimally invasive when compared to the surgical stripping of the long saphenous vein. In cases where endothermal ablation is unsuitable, the doctor can offer ultrasound-guided foam sclerotherapy. This procedure aims to damage the endothelium surface of the damaged vein. It causes scarring which eventually leads to the blockage of the varicose vein under treatment. The foam material used is called Sclerosant. This material is intended to have a large surface area contact with the wall of the varicose vein. This procedure can be carried out using local anaesthesia. The foam is injected through ultrasound guidance. When it comes into contact with the wall, it causes an inflammatory reaction inside the vein wall thereby causing the vein to block. After the procedure, the patient must apply compression bandages for about a week. The following points are important to note. The doctor can treat more than one varicose vein in one session. However, if any of the veins is incompletely treated, he or she may give further injections in subsequent sessions. If the health professional finds ultrasound-guided foam sclerotherapy to be unsuitable, he or she can recommend surgery. If there are incompetent varicose tributaries to be treated, they should all be treated at the same time. Any compression bandaging or use of compression hosiery after any of the above treatments should be used for a maximum of seven days. A patient should not be offered any form of compression hosiery for the treatment of varicose veins unless all the other forms of interventional treatment have become unsuitable. Therefore, compression hosiery should never be used as a primary treatment for varicose veins. Pregnant women who have varicose veins should get detailed information on the effect of pregnancy on varicose veins. Usually, this condition becomes worse as result of the changes that occur in the body during pregnancy. The good thing is that varicose veins tend to improve after childbirth. It is important to note the following points concerning treatment during pregnancy. Interventional treatment should not be offered as a treatment for varicose veins unless it is an exceptional case. Compression hosiery can be used for symptom relief of the swelling of legs associated with varicose veins. This guidance represents the best practices in diagnosis, treatment, and management of varicose veins. It is meant to act as a guide to help health professionals make informed decisions on the treatment of the condition. Even though it recommends different actions, it should never override the doctor’s responsibility of making the most appropriate decisions based on the circumstances at hand after consulting with the patient. Moreover, health professionals are expected to serve all patients in good faith, devoid of discrimination. They should also foster good relations with patients for the smooth treatment and management of varicose veins.